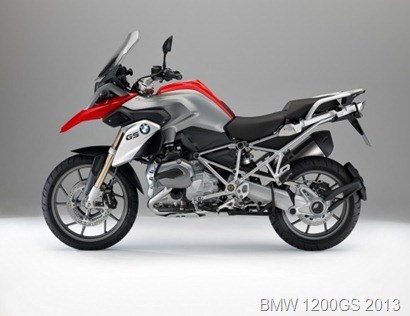 On May 2nd 2013, BMW announced the new F 800 GS Adventure. It seems that BMW has a pretty loaded schedule for the GS line. Since last year the whole family has been updated – with a brand new 1200GS flagship. Tough luck competition! BMW is neither sleeping on gas nor willing to concede an inch of the lucrative adventure market. And the new 800 Adventure has quite a list of arguments to convince potential customers. BMW Motorrad and TVS Motor Company sign cooperation agreement. Munich / Chennai, India. As part of its strategic reorientation, BMW Motorrad will be entering the segment below 500 cubic centimetres. BMW Motorrad and the TVS Motor Company have signed a long-term cooperation agreement for this purpose. This was announced at a press conference today in Chennai, India. …either the bikes are presented with road tires, or no skid plate, or with an inefficient windscreen, etc etc. The people from CMG magazine were right on the spot presenting a rugged version of the popular V-Strom 650 at the 2013 Montreal Moto Show. Their “Adventure” interpretation of this motorcycle is pretty much what adventurers ultimately aim to achieve when customizing their bike for off-road/adv use. On March 21, 2013, Triumph Canada filed a safety recall on multiple 2012 and 2013 models. As stated on Transport Canada recall # 2013089, on certain motorcycles, supports for the front and rear turn signal lamps were manufactured incorrectly and could break, causing the lamp assemblies to hang from their electrical wires. As a result, the driver’s intentions to turn may not be conveyed clearly to other road users, increasing the risk of a crash causing property damage and/or personal injury. To correct the problem, the dealers will inspect and, if necessary, replace the turn signal lamp assemblies. 413 Motorcycles are potentially affected by this issue. The last part of my ride to Manawan. I was pleasantly surprised when I deviated from my plan and took the path that led to Zec Collin. There is something spiritual about adventure motorcycling – as one never knows what’s ahead, some faith is required to make the ride a success. Of course, that depends on one’s definition of adventure motorcycling – mine is rather simplistic: ride and have fun – which does not leave much place to planning. With the increase of electronics in modern vehicles, it is not a surprise that an update is required in the latest BMW adventure motorcycle software. As the number of lines of code required to drive all the new electronics increases, the potential for programming errors grows accordingly. Software companies have to deal with bugs on a regular basis and the transportation industry now faces the same reality. Fortunately, once discovered, software issues can be easily fixed and only require an update of the vehicle computer code. In this particular case, the problem reported by BMW is related to the Automatic Stability Control (ASC) system which may not reactivate following off-road use in the “Enduro-Pro” mode. As the ASC warning lamp is no longer illuminated, the rider may be unaware that the system is still currently deactivated. This could result in a crash causing property damage and/or personal injury. To fix the issue the dealers will install an updated ASC software. Only 31 models have been recalled. If you ever ride a motorcycle on the Parent road, you will feel quite at home on the Manawan road. Both roads have the same vocation: fast fire roads that have been tortured by loaded logging trucks. Both roads send the same painful sensations to the rider: intense vibrations in the handle bars… strong enough that one cannot keep his hands tight on the grips – imagine yourself trying to stop a Harley Davidson engine from vibrating with your hands. It was quite stressful to ride the Manawan road under those conditions with a pickup following closely at 45 mph (75 km/h). I could not go any faster because of the intensity of the vibrations transmitted by the washboard-like road and I was under the impression that the guy behind me was losing his patience. I let him pass as soon as I had a chance and I made a first stop. If I had not brought along a ratchet with the appropriate socket that fits my suspension adjusting nub, I would have turned around without a second thought. But fortunately, it could be fixed. On February 6, 2013, BMW filed a safety recall with Transport Canada for the 2013 R1200GS. The reason of this recall is the transmission oil pressure that may be too high on certain motorcycles, causing the output shaft sealing ring to leak. An oil leakage ahead of the rear tire could render the vehicle unstable. This could result in a crash causing property damage and/or personal injury. To fix the issue, the dealers will install an oil restrictor to reduce oil pressure at the transmission output. Only 31 units are affected. The Montreal Motorcycle Show 2013: Win one of 6 pairs of tickets! The Montreal Motorcycle Show will soon be here to make us dream about new bikes brilliantly engineered by the manufacturers. I recently contacted the Director of Communications of the Show and I was pleasantly surprised by his willingness to collaborate! He offered me 6 pairs of tickets to access the event that I could use to organize this contest. Simply send an email to dsadvq@gmail.com with the title: “DS Adventure Quebec: Win one of 6 pairs of tickets! contest”. This is as simple as that…and please, share this information with your friends! The draw will be held on February 19th, 2013. The winners will be required to provide their first name, last name and city of residence. Thank you all for your participation and have a great day at the Montreal Motorcycle Show! The Dakar ended a couple of weeks ago: congratulations to the winners and to all participants! Now there are no more excuses to delay my ride report heading to Manawan, and hopefully I will be able to complete it before the Montreal Moto Show… many new adv bikes this year! But one word about the Rally: it is fascinating to see the sand dunes and fantastic landscapes of South America that we discover through the Dakar- definitely something to add to my bucket list. On the down side however, none of the Canadian TV networks – even sports channels – made any coverage of the Dakar. In MHO, such an event should show up at least on evening news, right?! Right…back to the main program…Manawan…Dorwin falls…yeah, those falls were an unexpected discovery worth seeing! I spent too much time there taking shots and videos. When I left and realized how long I had been there, I took the resolution to stop stopping every ten minutes for a bloody picture! I stopped at least 10 more times after taking that resolution... I saw this windmill along the road and I was curious to know what it was used for. No luck, the area was deserted and there was a for sale sign. (Reuters) - The owner of offroad motorbike maker KTM (KTMP.VI) acquired rival brand Husqvarna from Germany's BMW (BMWG.DE) on Thursday in a consolidation move that helps shave costs as the industry copes with a slump in Europe. Entrepreneur Stefan Pierer, who owns a majority stake in KTM, told Reuters he was taking a page out of Volkswagen's (VOWG_p.DE) book by buying the Italian-based company, whose one-cylinder enduros and motocross bikes are dubbed "Huskies" by their fans. "Almost ten years ago we started a small platform strategy just like what Volkswagen does on a far larger level," he said in a telephone interview after the deal, declining to provide financial details. 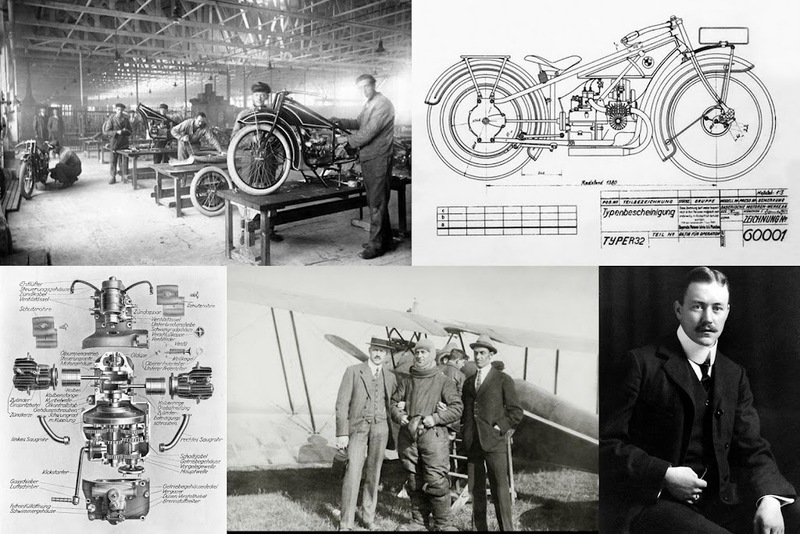 The aircraft engine manufacturer BMW unveiled its first motorcycle in late 1923, and it was a passionate aircraft engine designer – Max Friz – who was behind its creation. 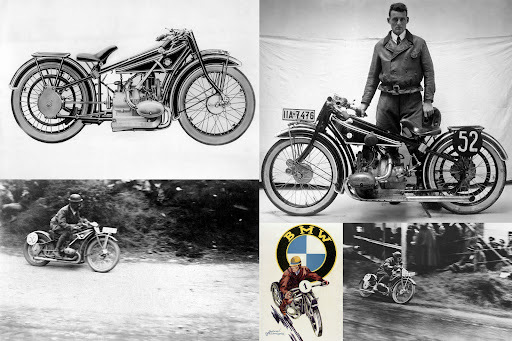 Forever credited as the father of the first BMW bike – the R 32 – Friz’s story leading up to this groundbreaking motorcycle is as interesting as it is varied. BMW is set up in Munich during World War One as the successor to Rapp Motoren-Werke, an aircraft engine plant founded in 1913. 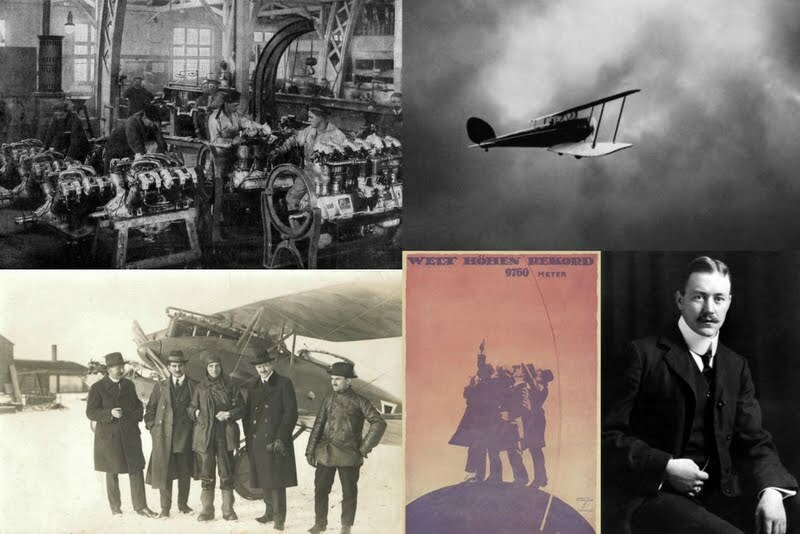 Its first product is the IIIa aircraft engine, containing legendary engine designer Max Friz's altitude carburettor, which, in comparison to rival products, greatly decreases loss of performance at high altitude. BMW Motorrad USA reported a 14 percent increase in sales for 2012, nearly double the gain posted the previous year. Retail sales of 12,057 motorcycles were made in 2012 compared to 10,572 sold in 2011. In December, BMW Motorrad USA posted a 2.2 percent increase on sales of 918 motorcycles compared to 898 sold in December 2011. The double digit increase was fueled by sales of the popular S 1000 RR superbike, which had 20.9 percent increase in sales of 1,934 compared to 1,600 in 2011. Consumer response to the first full year of the award-winning six-cylinder K 1600 GTL and K 1600 GT spurred 1,601 deliveries of the GTL (+58.7 percent) and 697 of the GT (+87.9 percent) in 2012, boosting K-series volumes 40.9 percent to 2,647 units. The introduction of the entry level G 650 GS Sertão contributed to a G-Series sales increase of 31.3 percent with sales of 994 compared to 757 sold in 2011. The product offensive continued with the release of the C 600 Sport and C 650 GT maxi scooters in late Fall with 223 GTs delivered to consumers by year end.